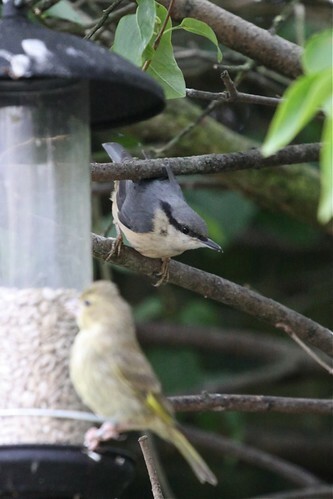 squawky – latest youngster out today, originally uploaded by Laura Whitehead. Adult feathers coming through, originally uploaded by Laura Whitehead. We’ve had lots of youngster this summer, and a few of them are just starting to get their adult feathers coming through. 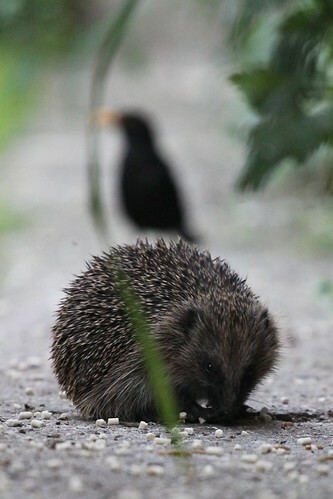 Hedgehog and blackbird, originally uploaded by Laura Whitehead. 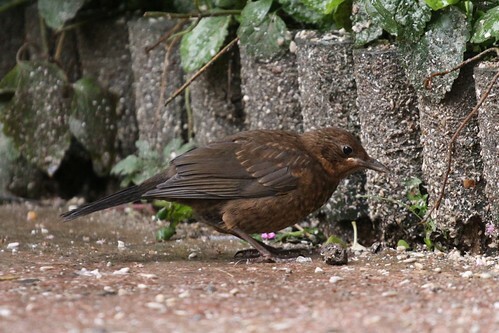 Young Bullfinch, originally uploaded by Laura Whitehead. Every summer eagerly await the arrival of baby bullfinches. 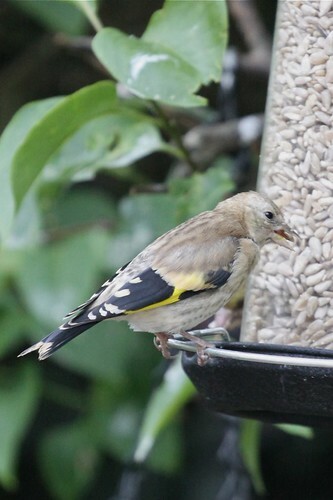 Heard one in the bushes last Friday, and the first appeared on the feeders on Saturday (a very wet day to be exploring the big outside world!). 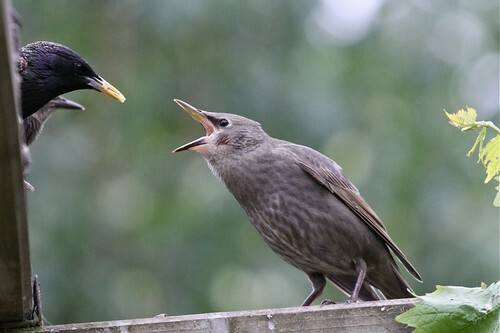 Since then another youngster appeared yesterday, (we have 6 adults in the garden all in pairs, now along with 2 youngsters so far). 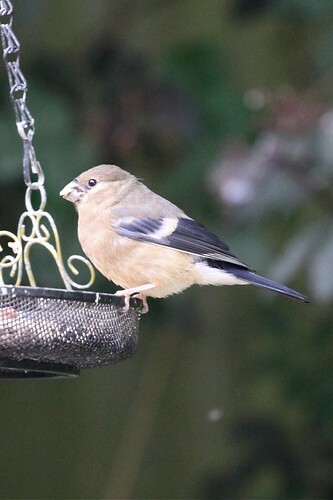 Chubby and just like their parents enjoy munching endlessly on sunflower hearts. 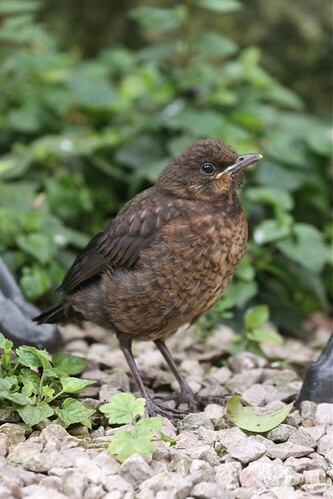 Blackbird youngster (no.6), originally uploaded by Laura Whitehead. This youngster has a great personality, quite feisty and independent already. He/she is already doing a great job weeding out my flower beds and gaps in the path in search of tasty worms. The other five youngsters all appeared within a close batch of time, and this one a while after. 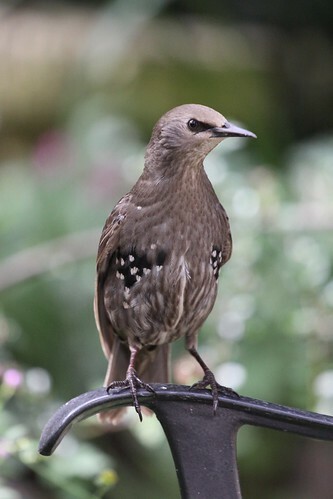 (…and this week we already have the second broods starting to appear already). 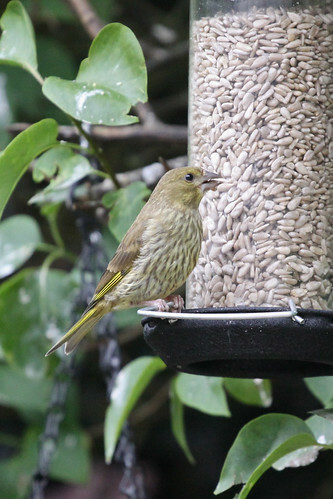 young greenfinch, originally uploaded by Laura Whitehead. First of the young greenfinches out and about today. Feed me!, originally uploaded by Laura Whitehead.